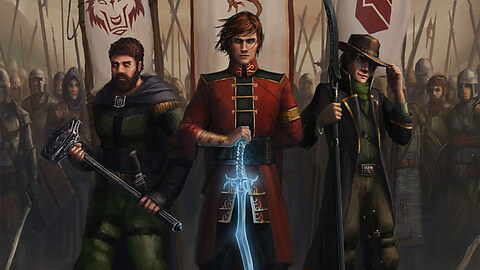 Good news Wheel of Time fans a series is in the works that will appear on Amazon. Ever since Game of Thrones took off for HBO there has been speculation of taking Robert Jordan's epic fantasy series to Television but the fantasy series ran into licencsing issues. Way back in 2016 Harriet McDougal (Robert Jordan's Widow) announced that the rights issue had been resolved with Red Eagle Entertainment and that the series would soon becoming to TV. However, since that time there has been very little news. It seems the series has found a good home with Amazon. Amazon has been actively expanding their roster of shows and Wheel of Time is no doubt planned to be one of their big tent pole shows for years to come. TV writer Rafe Judkins who you may know from his time as a Survivor contestatnt will be the show runner on the Wheel of Time Series. There is still no official release date on the project however Amazon has provided a synoposis. The Wheel of Time is set in a sprawling, epic world where magic exists, but only women can use it. Meaning that in this series — women hold the keys to power. The story follows Moiraine, a member of the shadowy and influential all-female organization called the ‘Aes Sedai’ as she embarks on a dangerous, world-spanning journey with five young men and women. Moiraine’s interested in these five because she believes one of them might be the reincarnation of an incredibly powerful individual, whom prophecies say will either save humanity or destroy it. The series draws on numerous elements of European and Asian culture and philosophy, most notably the cyclical nature of time found in Buddhism and Hinduism.